As part of Asfar’s 2017-2020 strategy, Women Economic Empowerment sits center-stage, alongside Sport for Peace and Child Marriage prevention programmes. Asfar’s voluntary women’s group aims to address situations leading to Women economic dis-empowerment including: addressing girls and women’s education barriers, skills development and work-based experiences; preventing child marriage; and promoting gender equality aligning to Asfar’s SDG Manifesto. Asfar will focus on the Caucasus, the Middle East and the Balkans over the next 5 years. 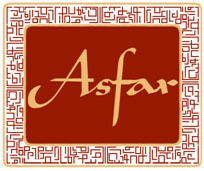 Initially, Asfar’s projects will focus on Georgia, Azerbaijan and Turkey. As part of this, Asfar’s voluntary women’s group is currently researching the current situation of Child Marriage in the Caucasus.